In the name of facilitating economic growth in Grandview, city and county officials have agreed to fund the design of a Wilson Gulch Road that could provide quicker access for those traveling to the Three Springs sub-division. 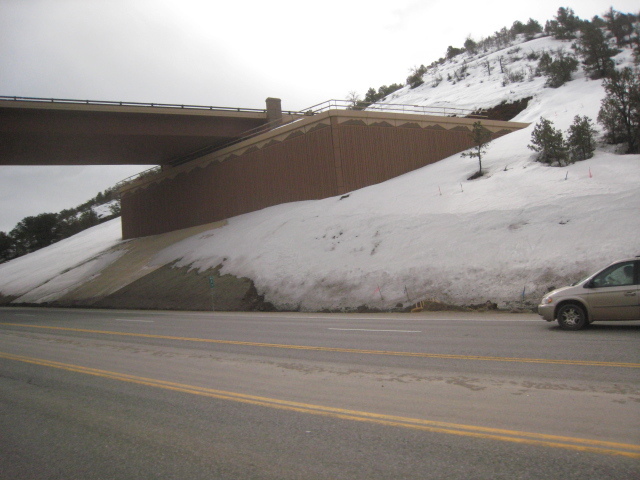 Utilizing the recently constructed overpasses on US 160—the Bridge to Nowhere and its counterpart directly to the west—the Wilson Gulch Road would run from the planned roundabout north of the Bridge to Nowhere to the top of the Gulch near Mercy Medical Center. At that point it would connect with the dead end of the pre-existing Wilson Gulch Rd. Officials say it would allow those traveling east from Durango—including ambulances—to get into Three Springs more quickly than previously where they had to risk waiting at a stop light at Three Springs Boulevard. The Bridge To Nowhere is in the foreground, and it's counterpart for the interchange is right behind it. 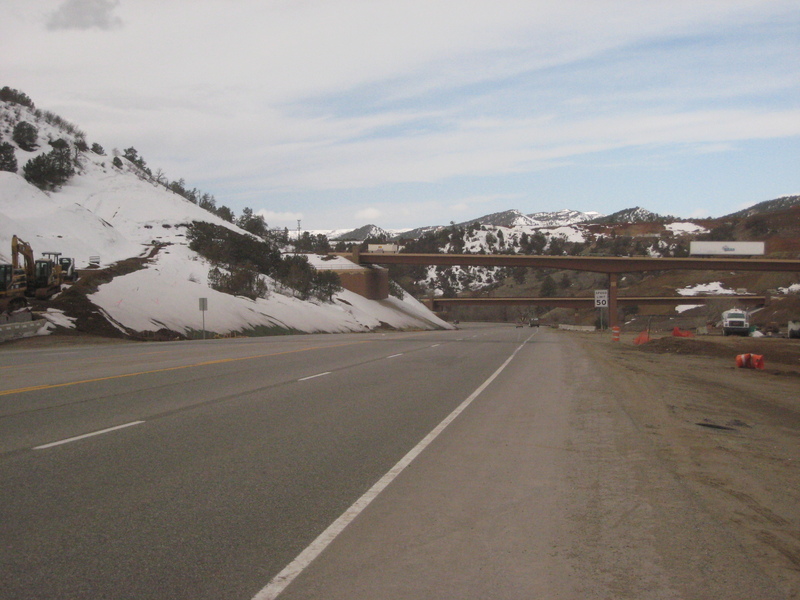 Both overpasses would connect traffic to the proposed Wilson Gulch Rd. leading into Three Springs. Numerous officials at the joint study session Tuesday expressed interest in attracting big box retailers to the Three Springs area as a means of boosting the City’s sales tax revenue. Additionally, the officials noted how the proposed road would help provide access to a proposed events center at the site of the current C & J Gravel Pit. Under the joint intergovernmental agreement, the county would match the city’s previously budgeted $250,000 to fund the design of the new road. “I am in utter shock that a two-mile stretch of road costs a half a million dollars to design, and that doesn’t even include the final construction documents,” said County Commissioner Bobby Lieb. Durango City Manager Ron LeBlanc said the Wilson Gulch Rd. would not even be discussed if it wasn’t for CDOT’s Regional Transportation Director Richard Reynolds having gotten the grants for the US 160/Hwy 550 Grandview Interchange. While many in Durango, including this blogger, will continue to question and doubt whether Grandview will indeed be the economic hub of La Plata County in the future, Reynolds assured City Councilor Paul Broderick that the Bridge to Nowhere has independent utility. “It does service other properties in this whole area,” said Reynolds, while pointing to the homes on a map on the south side of US 160 in Grandview. After Broderick asked if CDOT had a “plan to nowhere” regarding the completion of its Grandview Interchange, Reynolds mentioned that the roundabout for the project was going to be completed at latest by this fall, thus making it operational. In response, Broderick said that the City doesn’t have any money to build the Wilson Gulch Rd. Saying that he hears the same reasoning for stagnant development all over, Reynolds mentioned what else CDOT has planned in addition to the Bridge to Nowhere.